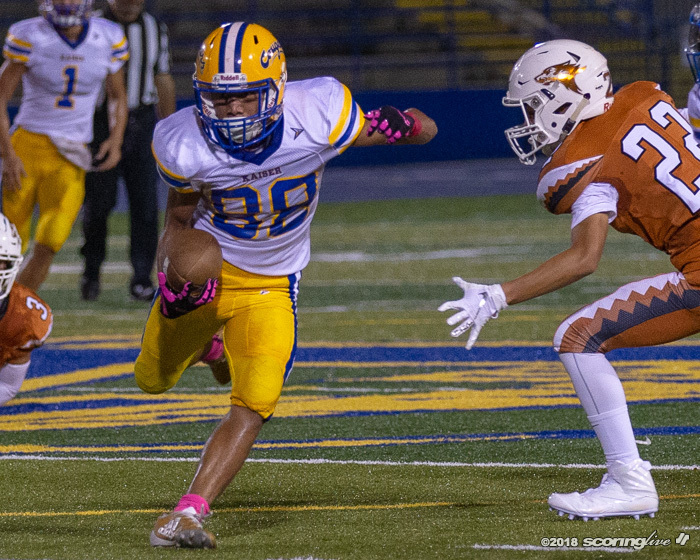 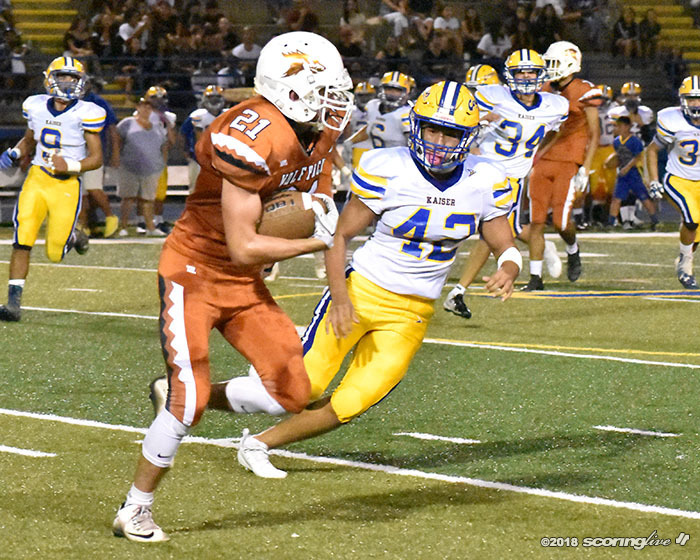 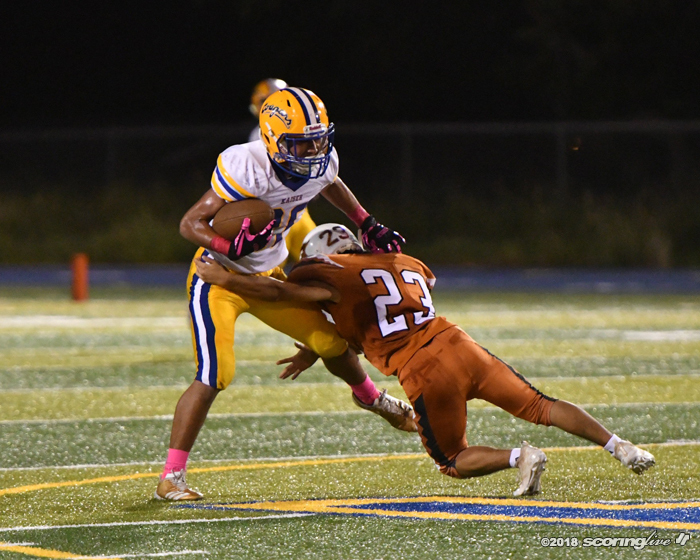 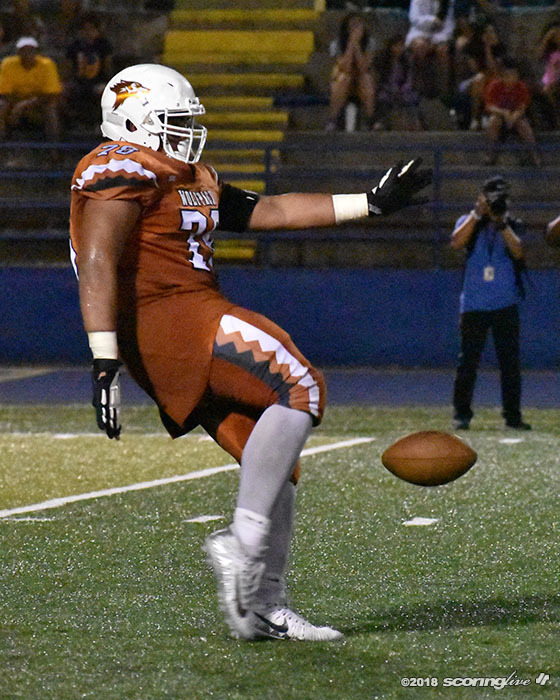 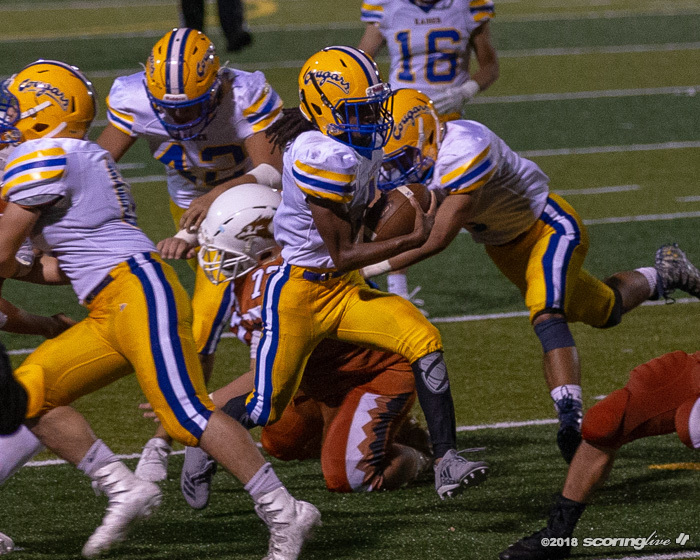 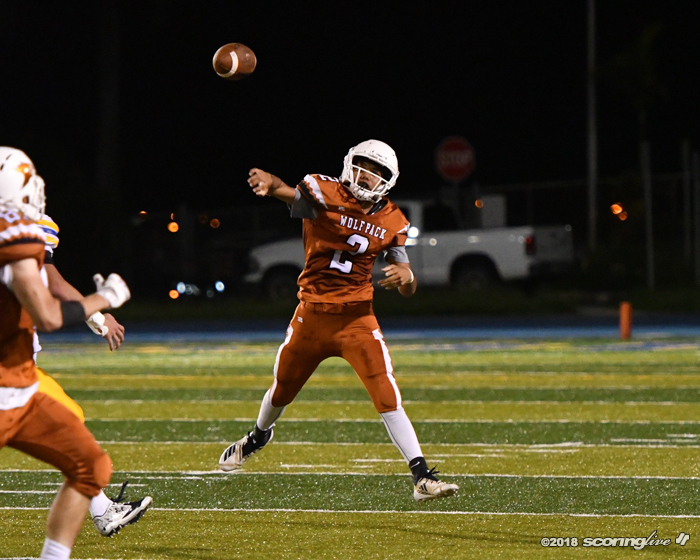 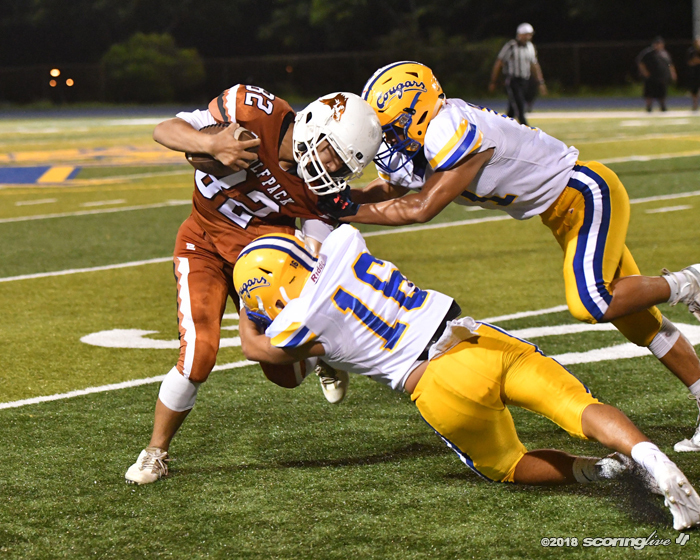 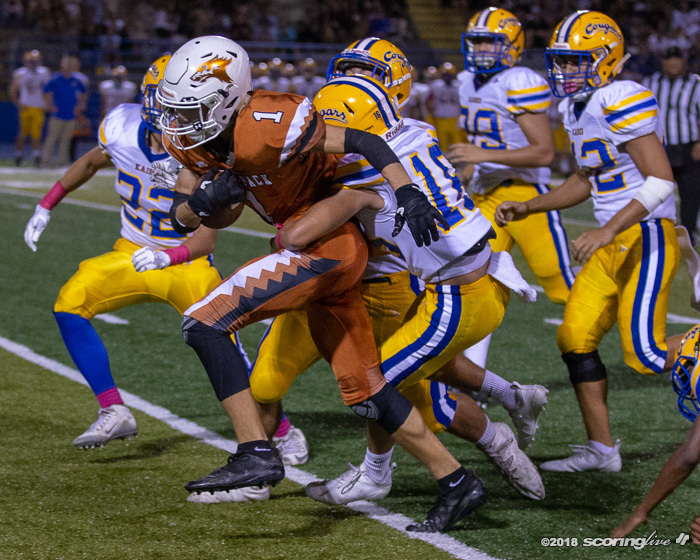 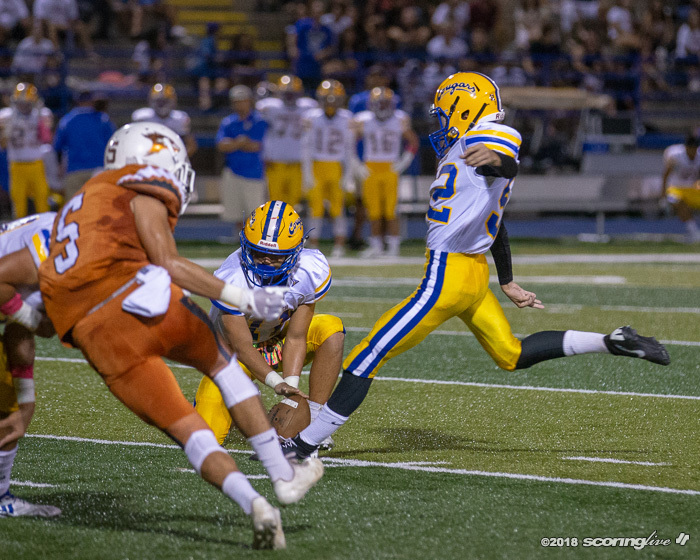 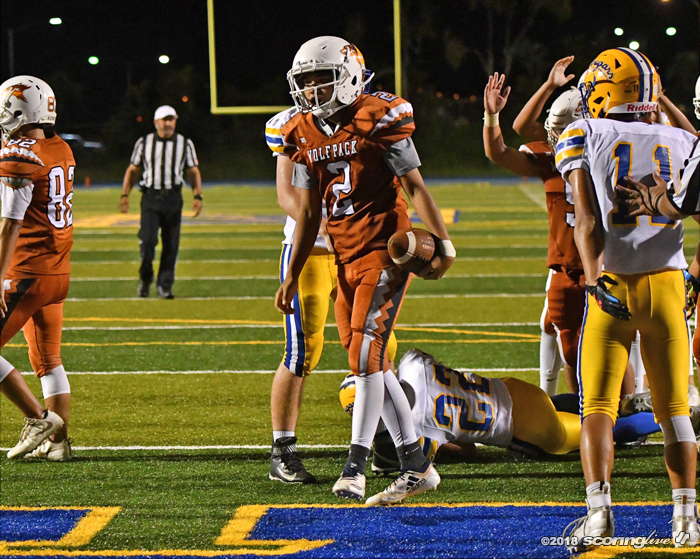 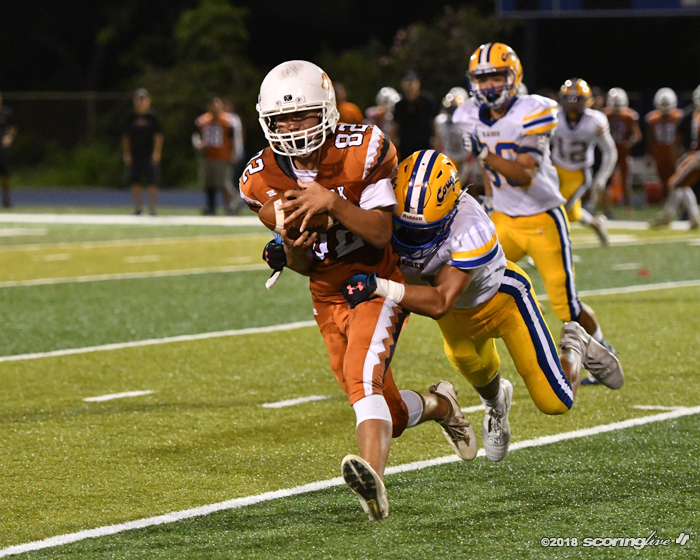 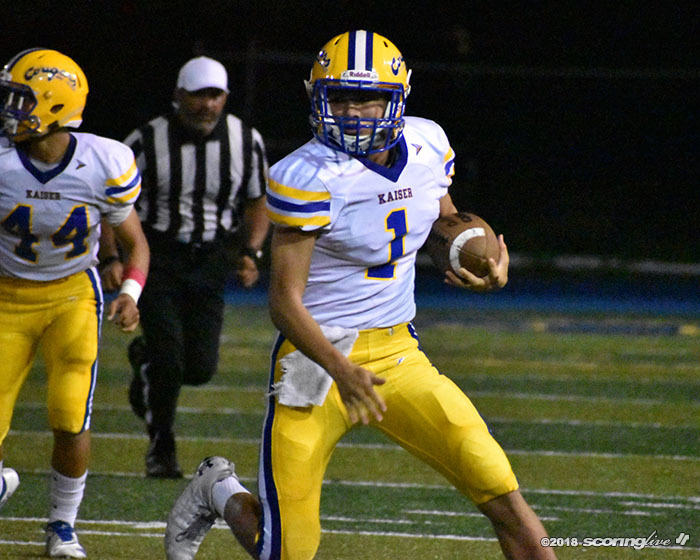 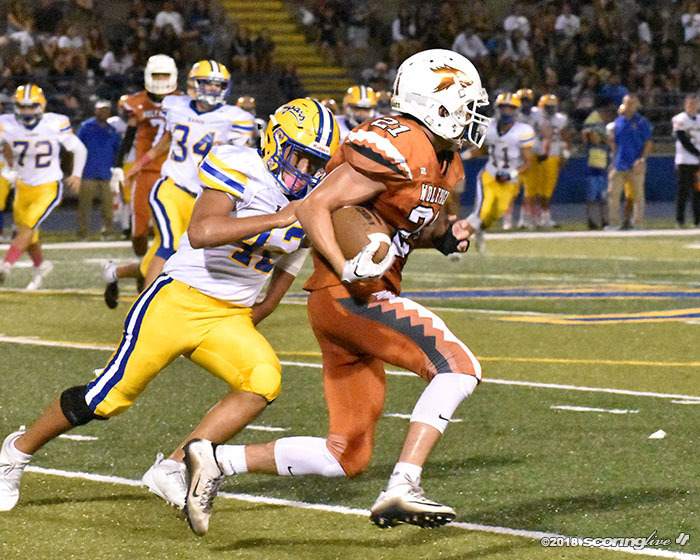 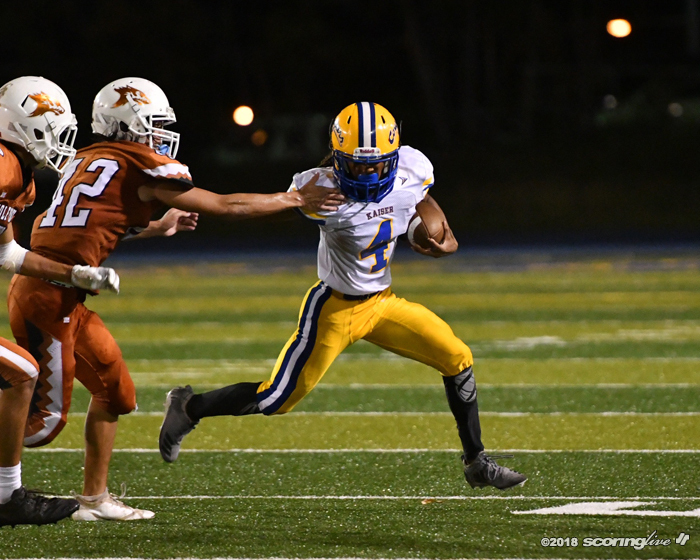 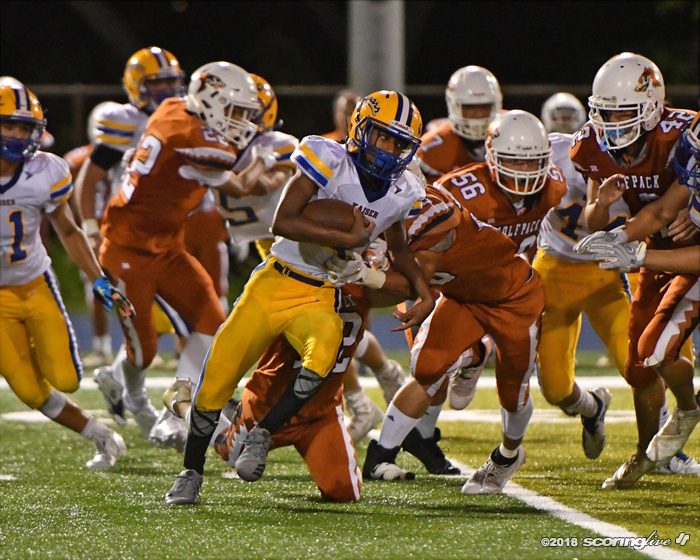 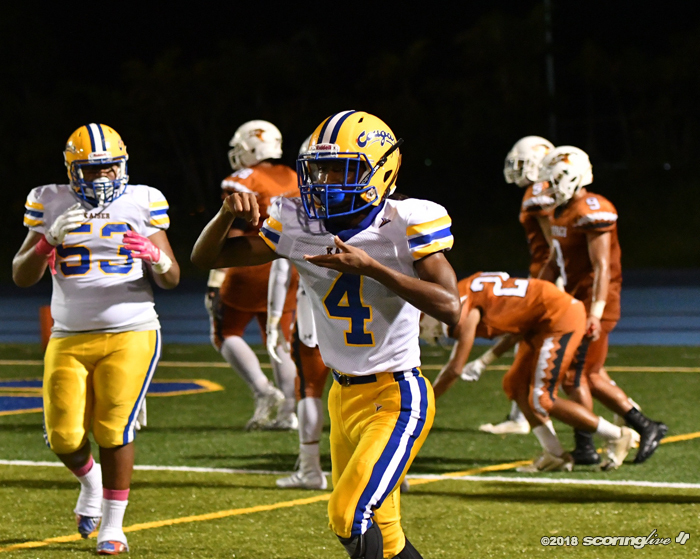 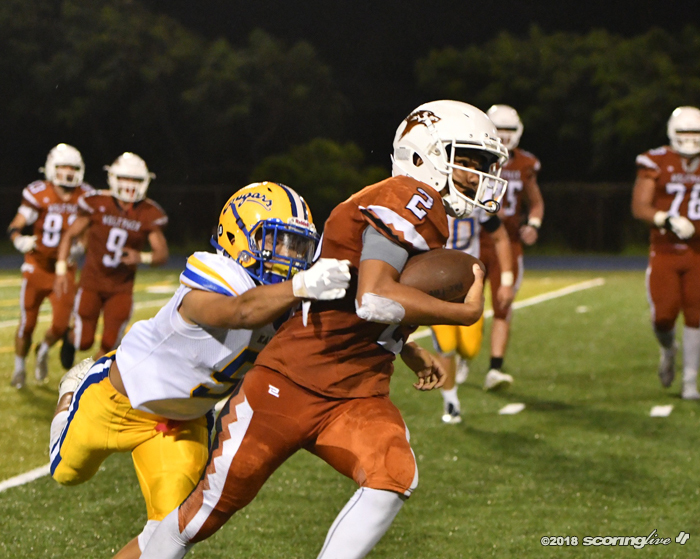 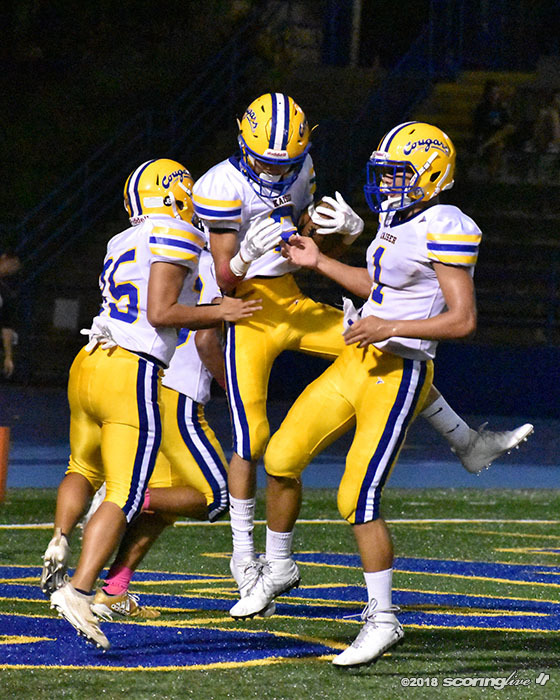 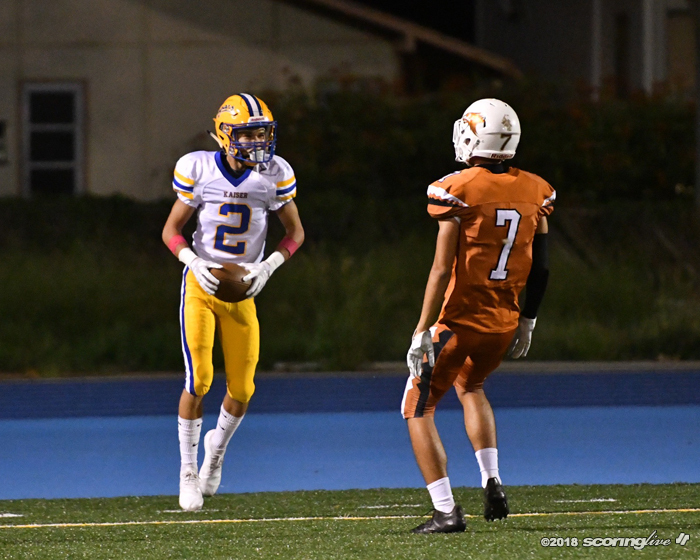 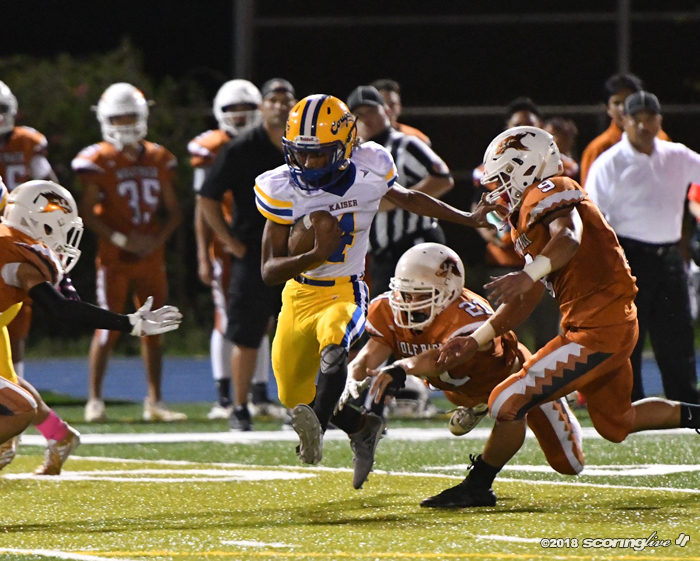 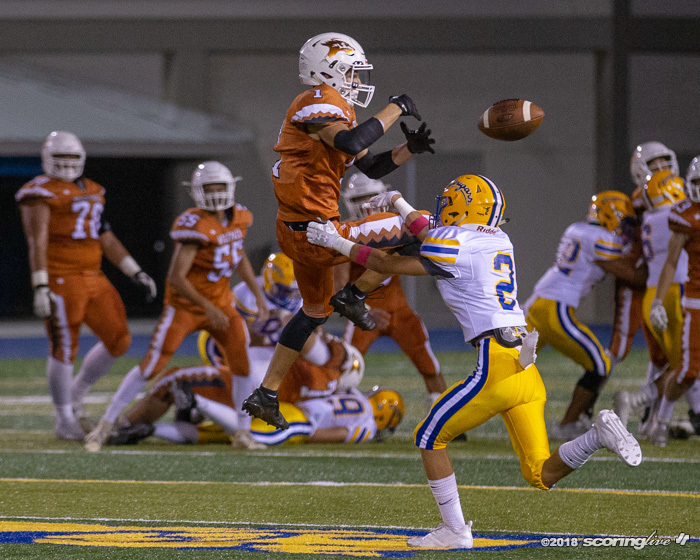 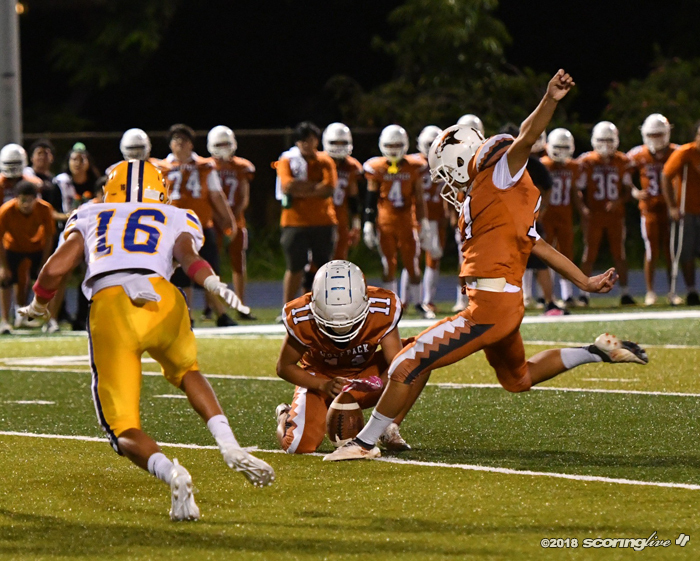 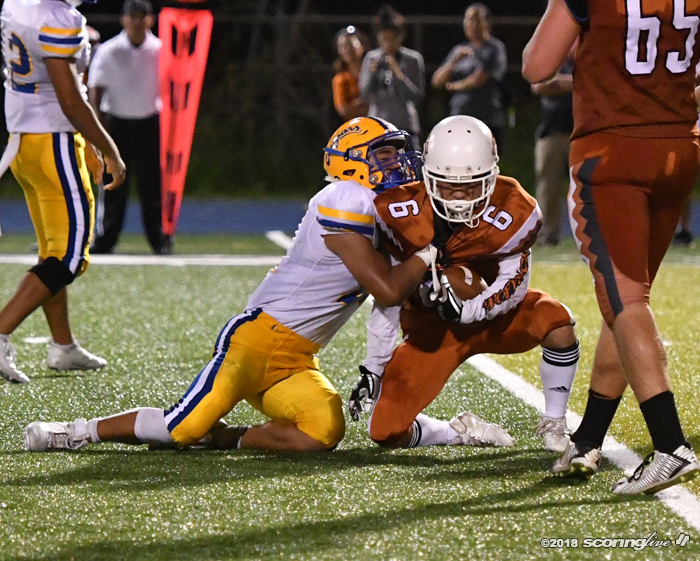 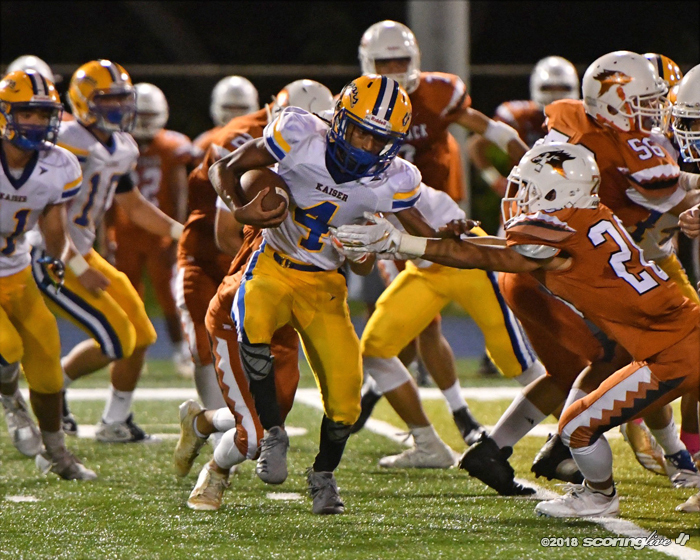 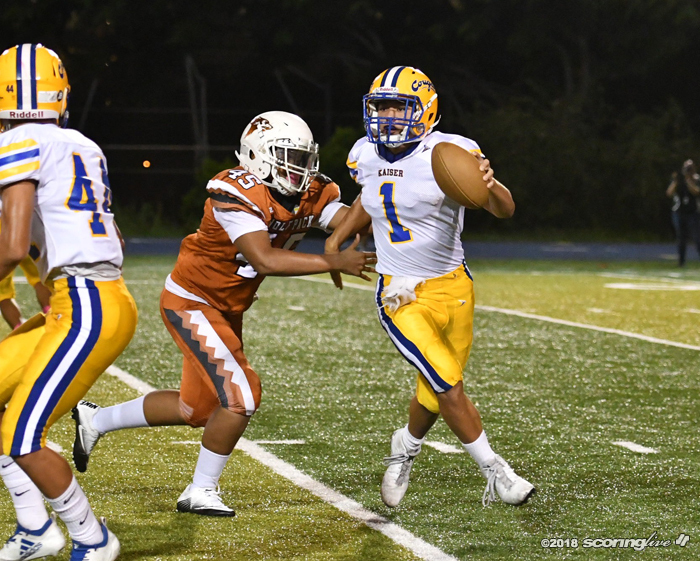 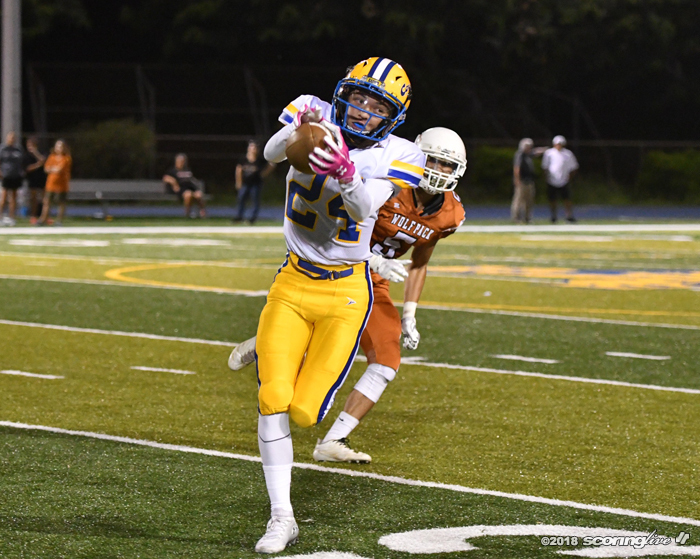 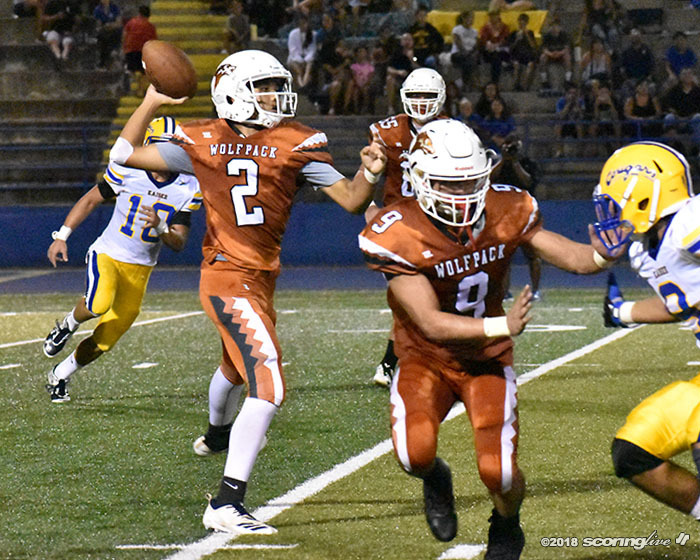 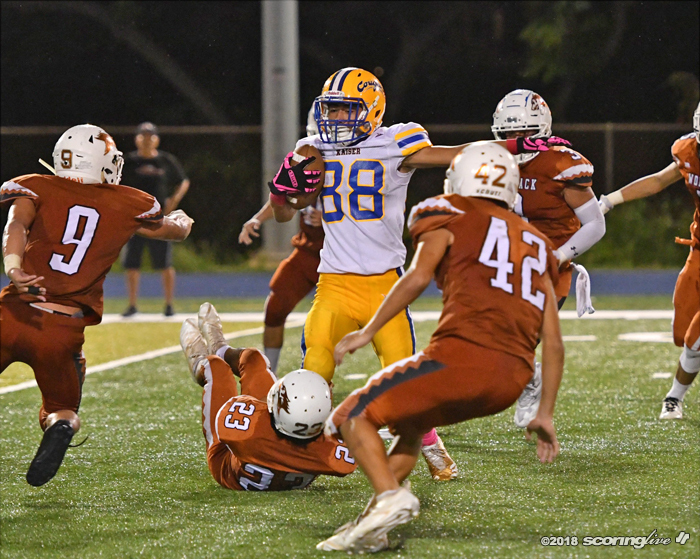 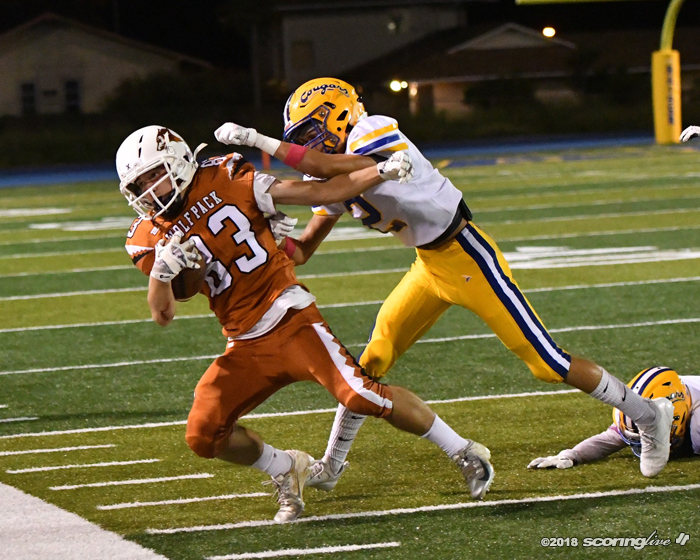 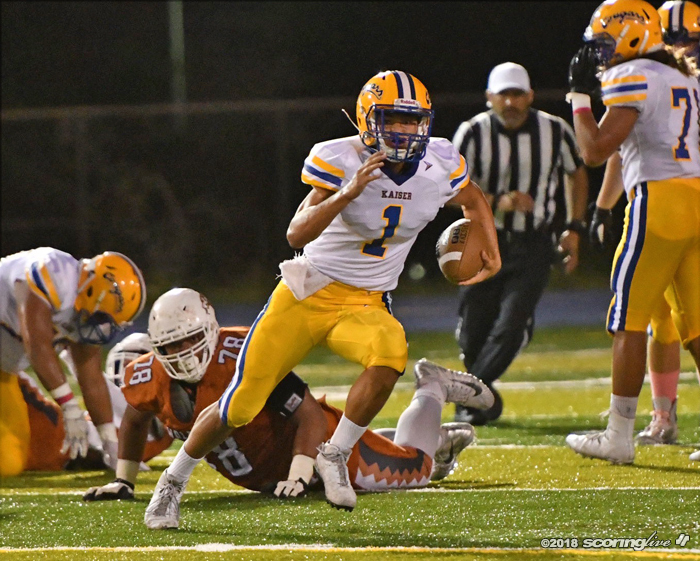 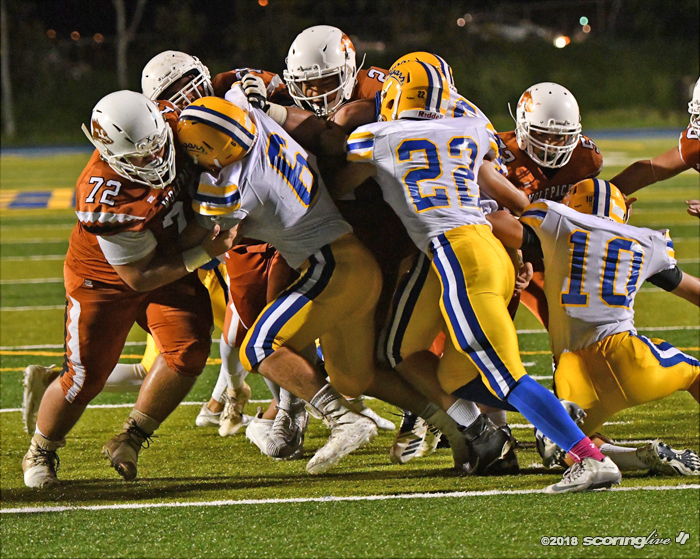 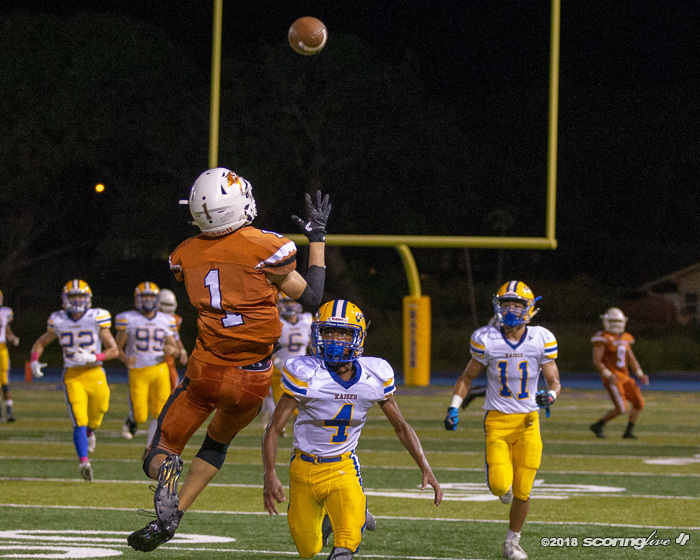 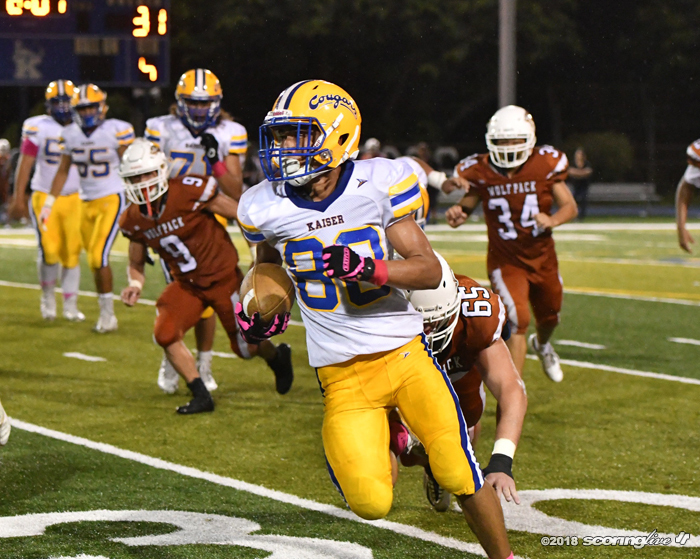 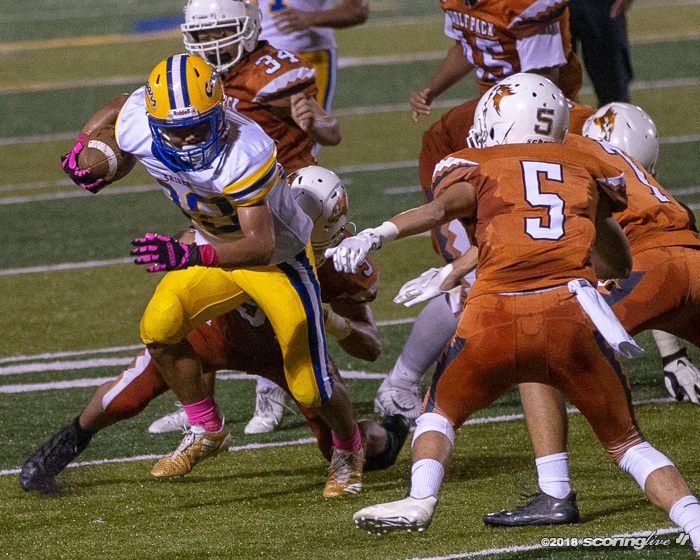 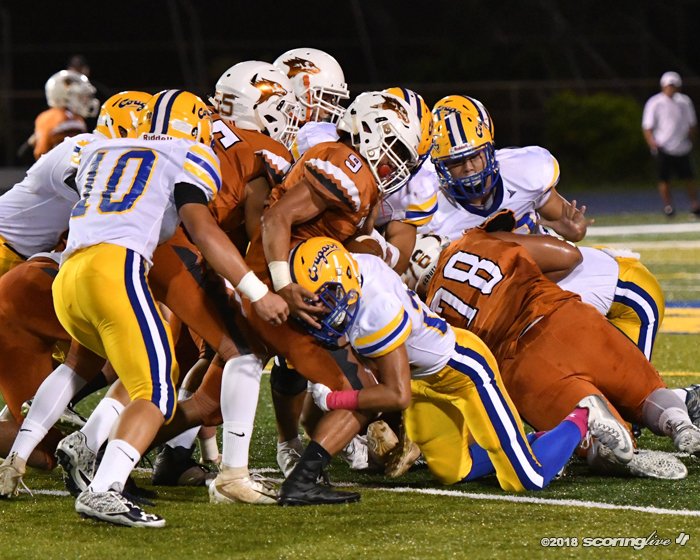 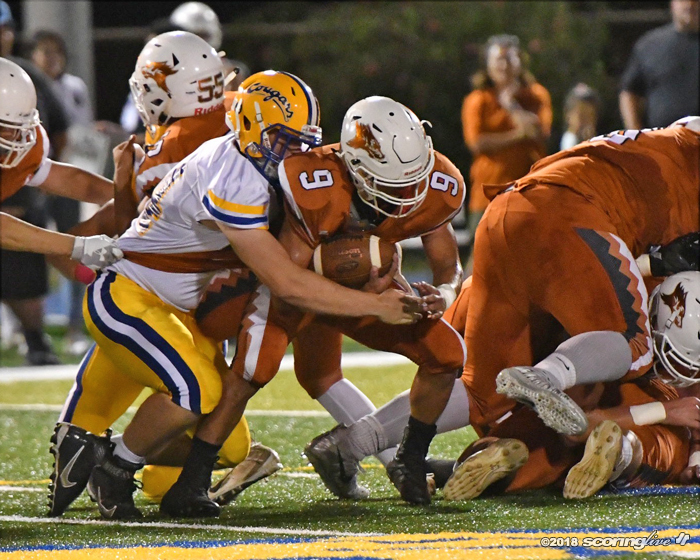 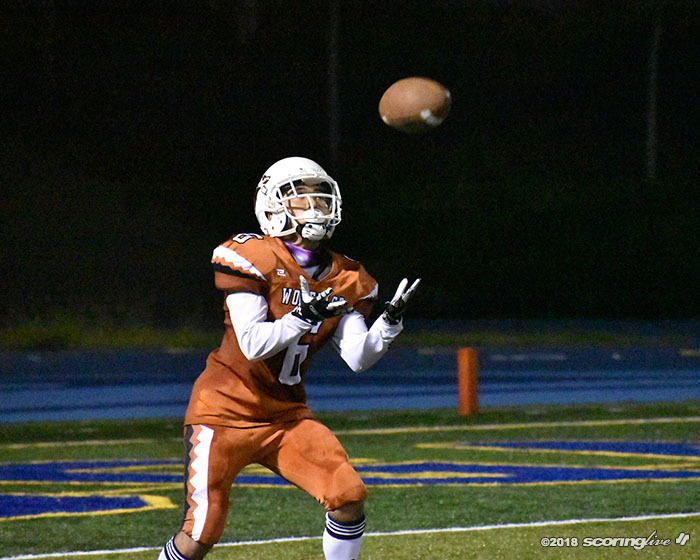 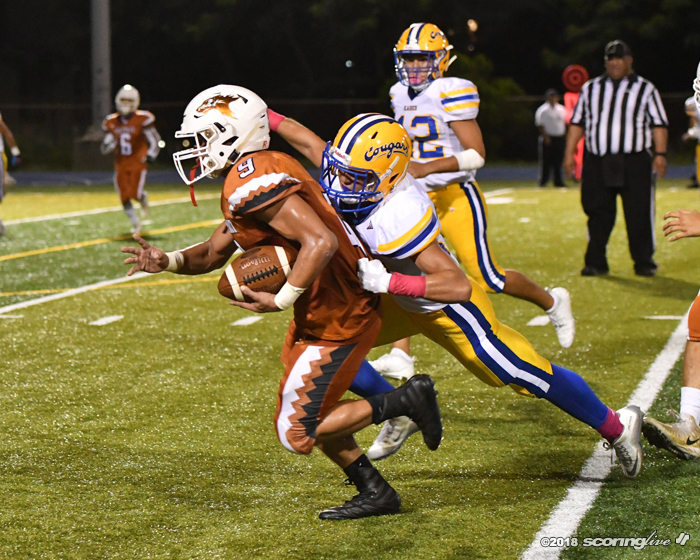 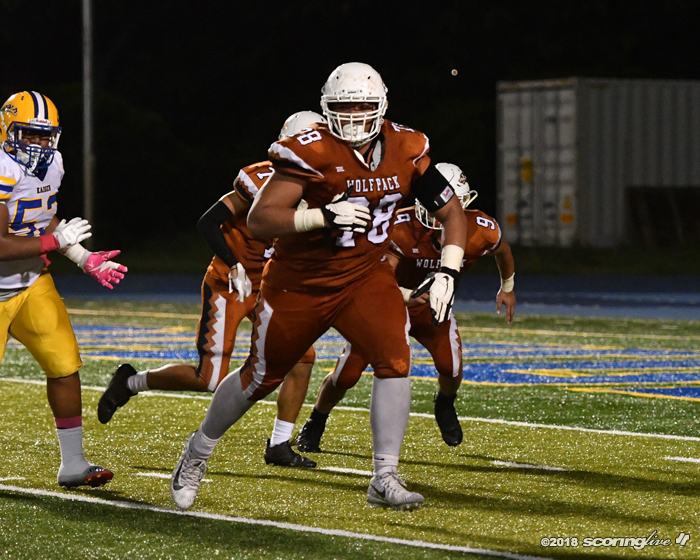 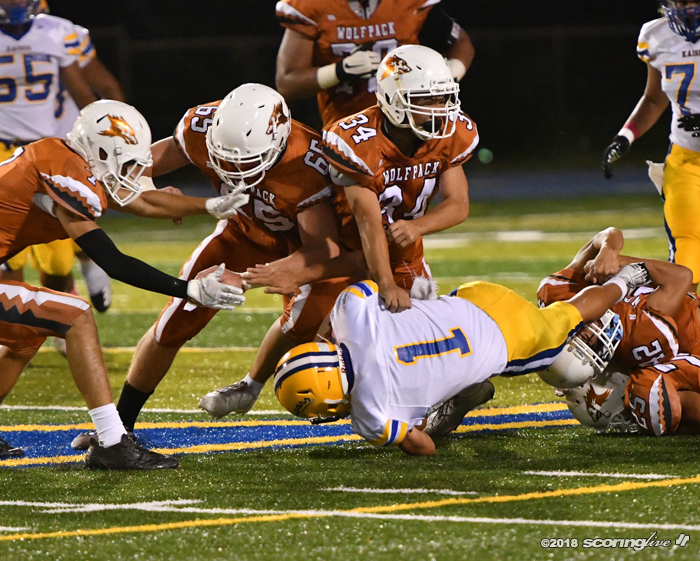 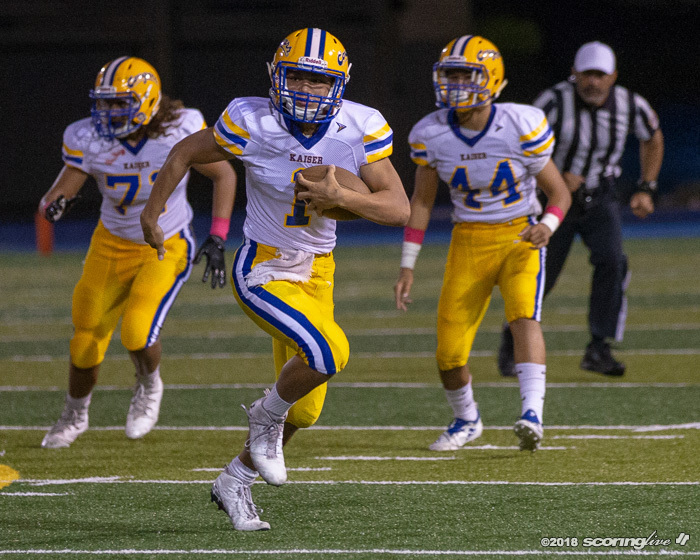 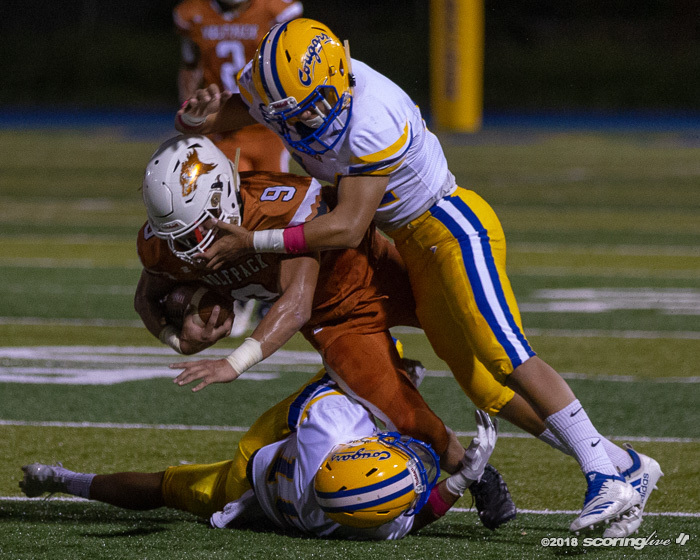 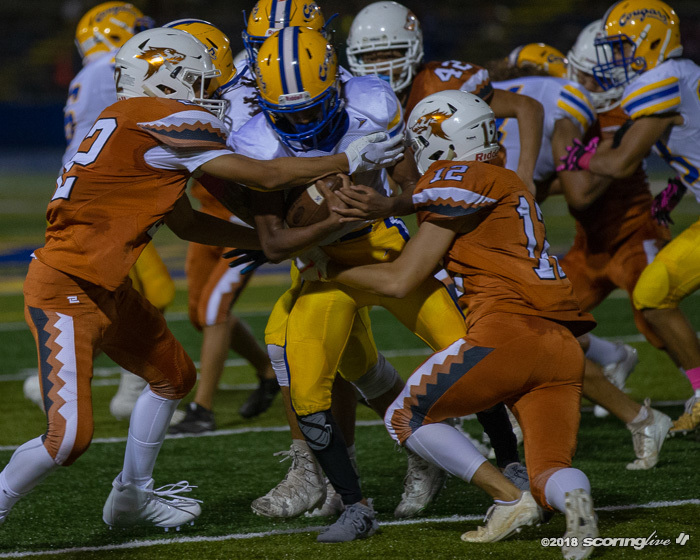 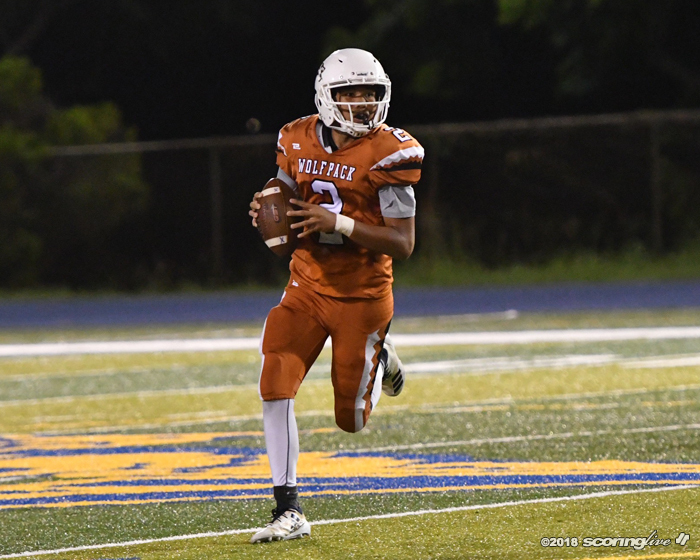 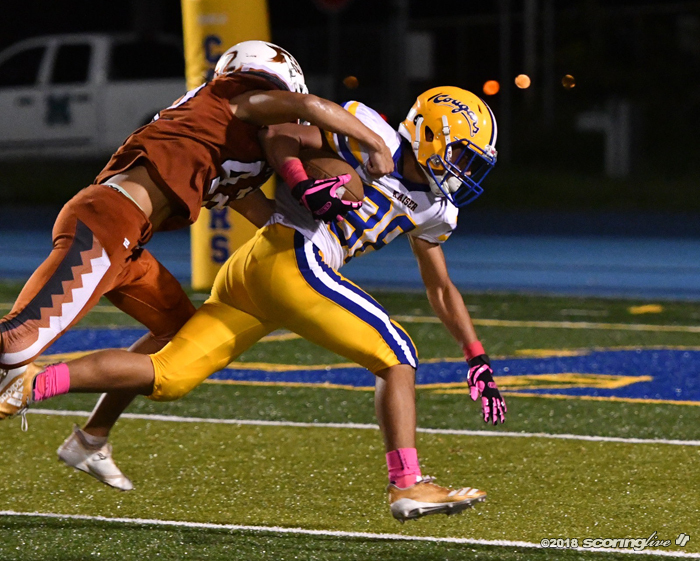 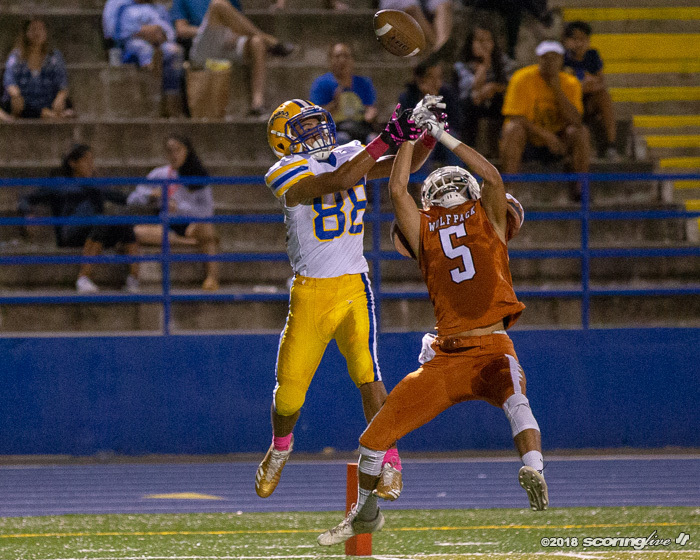 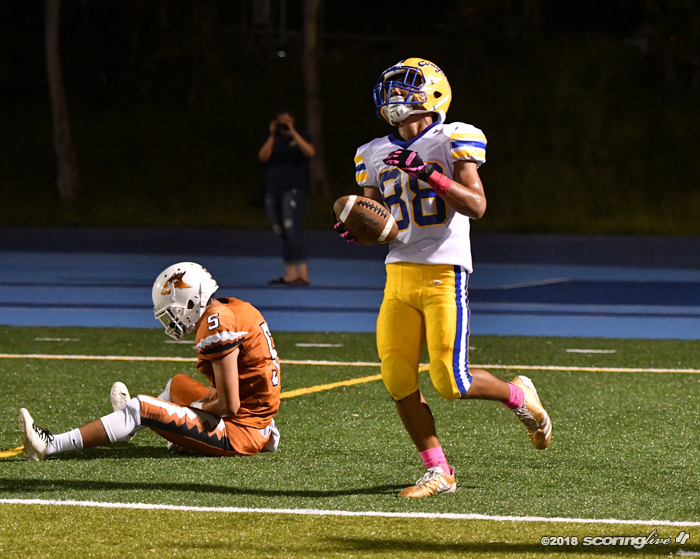 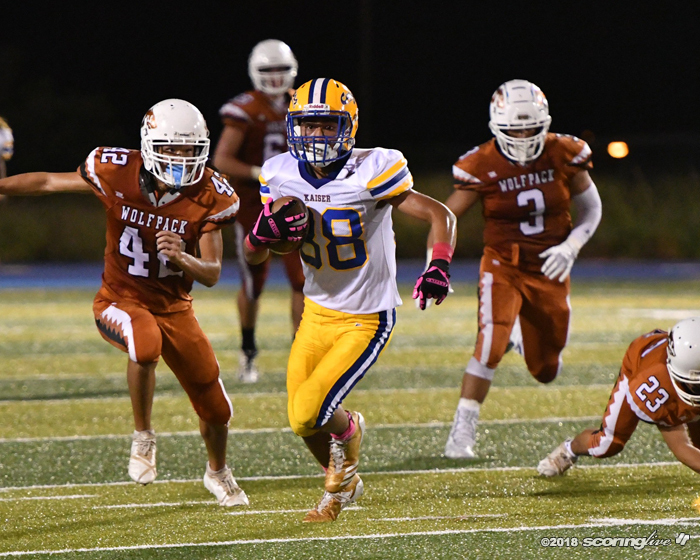 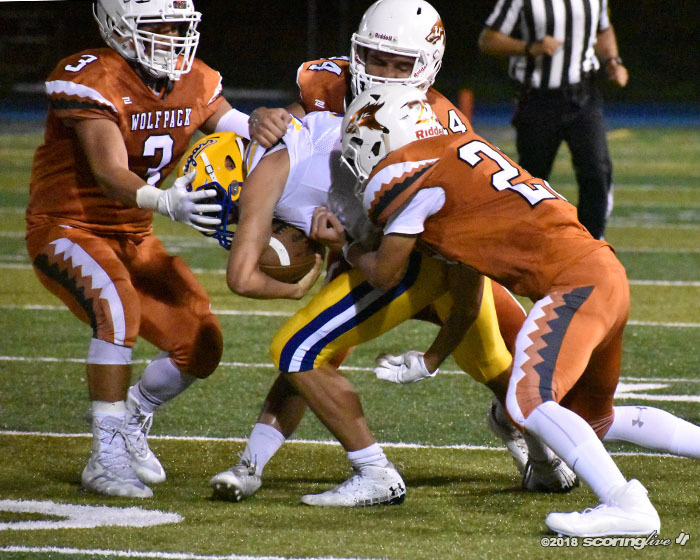 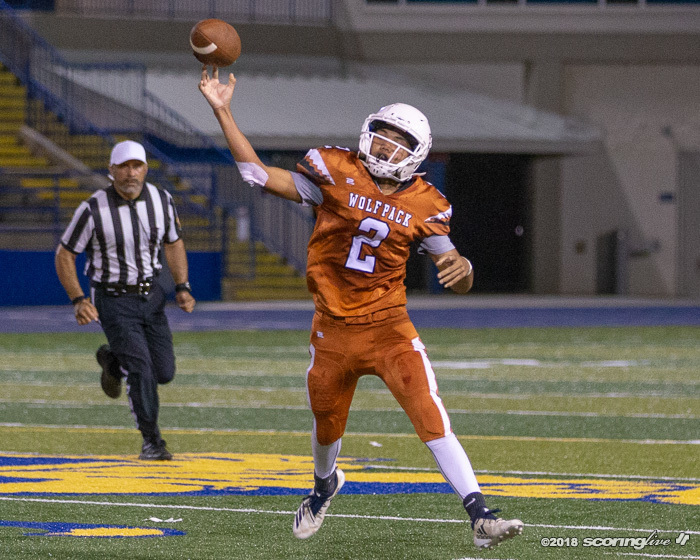 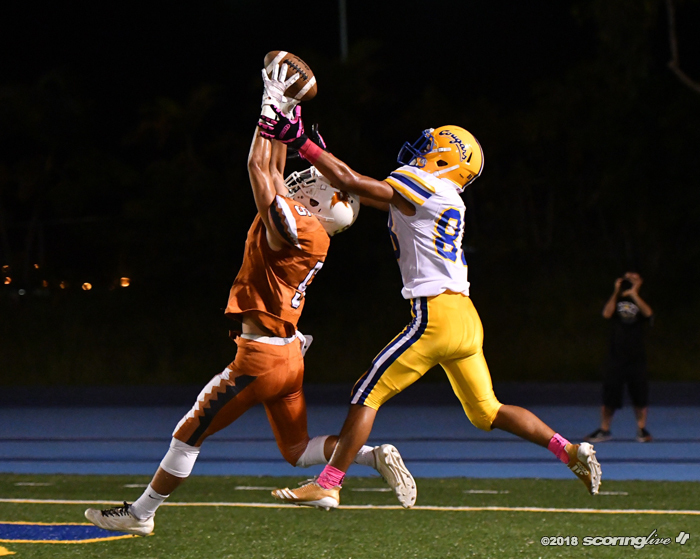 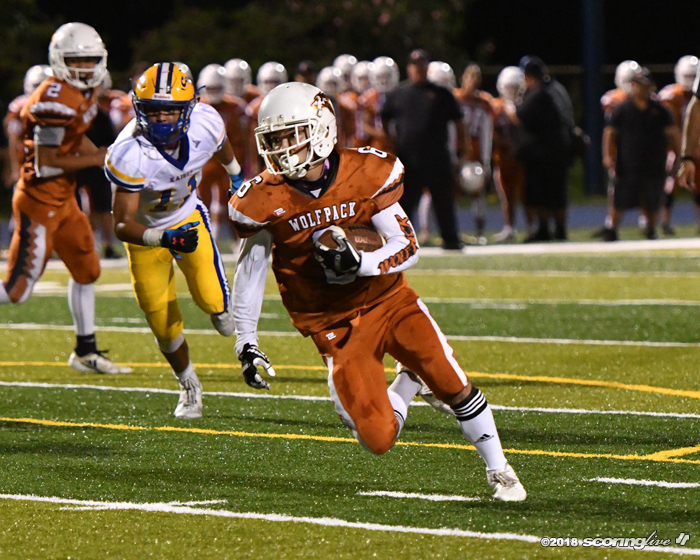 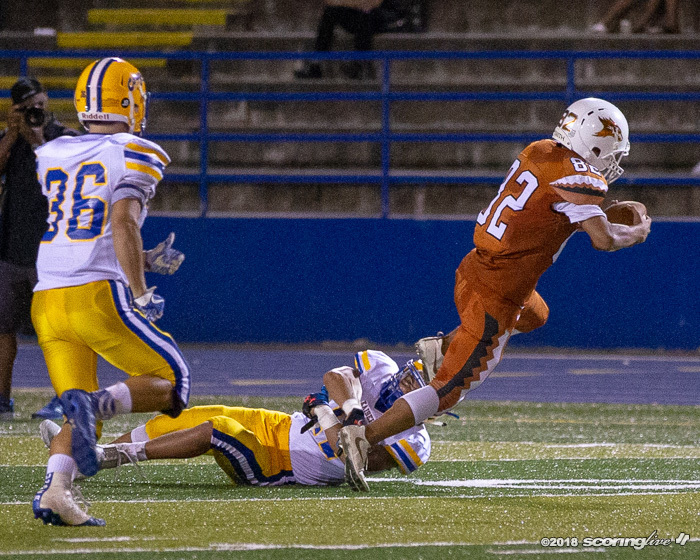 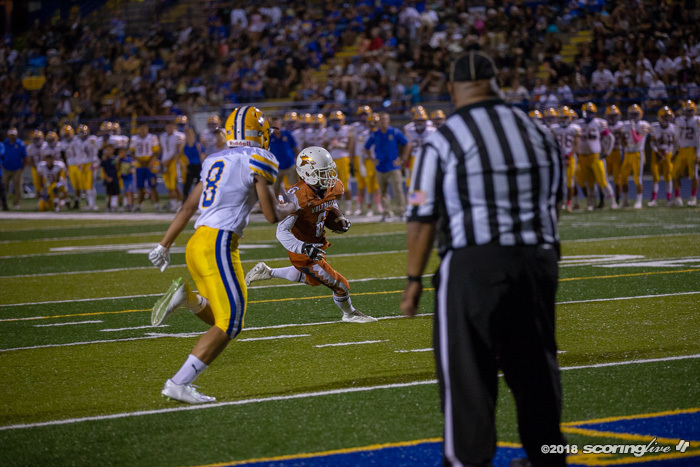 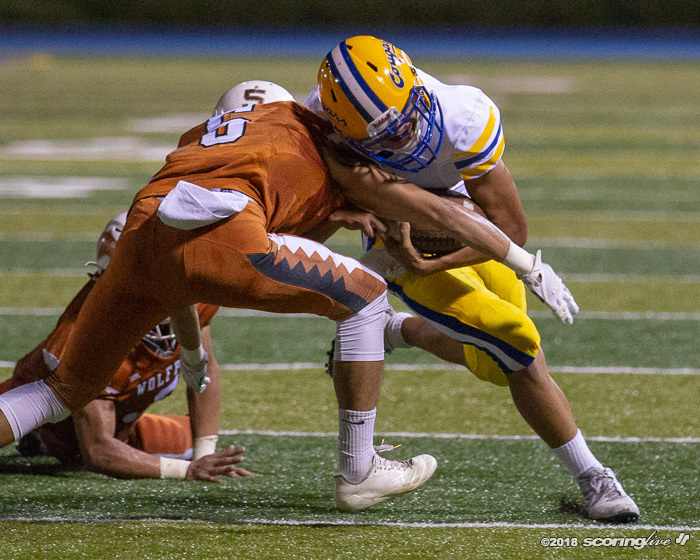 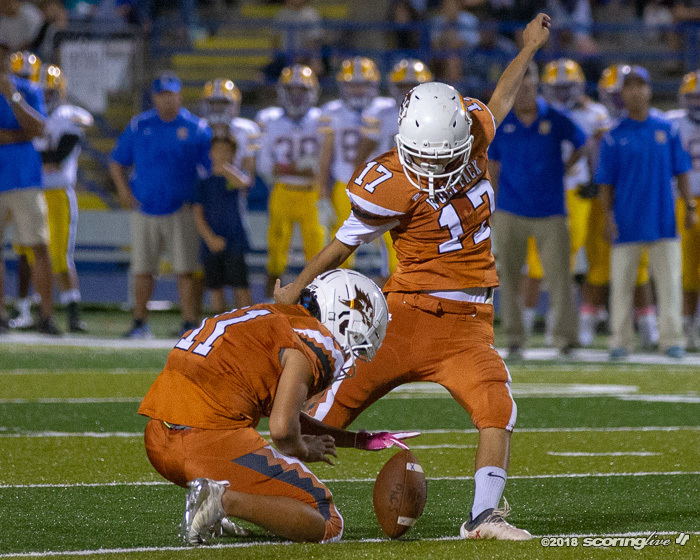 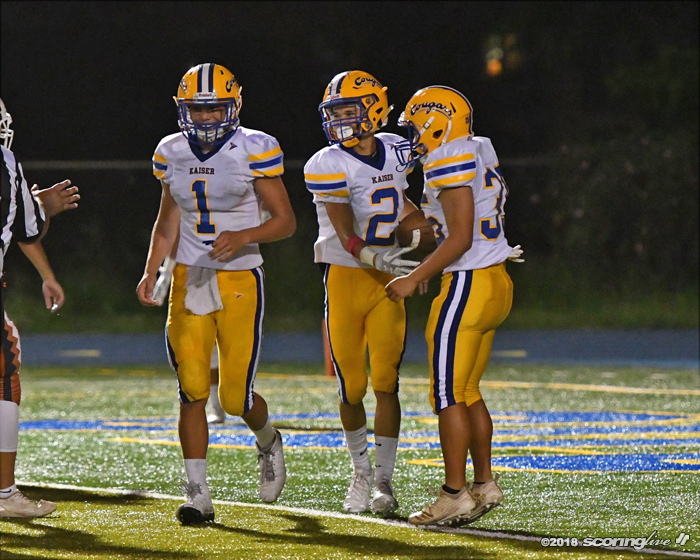 Koa Tom threw four touchdown passes to lead Kaiser over PAC-5 Friday night in a Division II interleague matchup at the Ted Fukushima Athletic Complex. 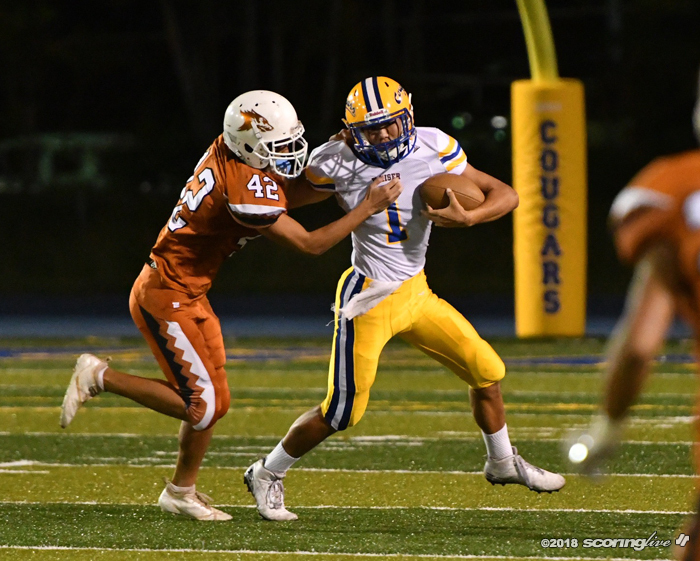 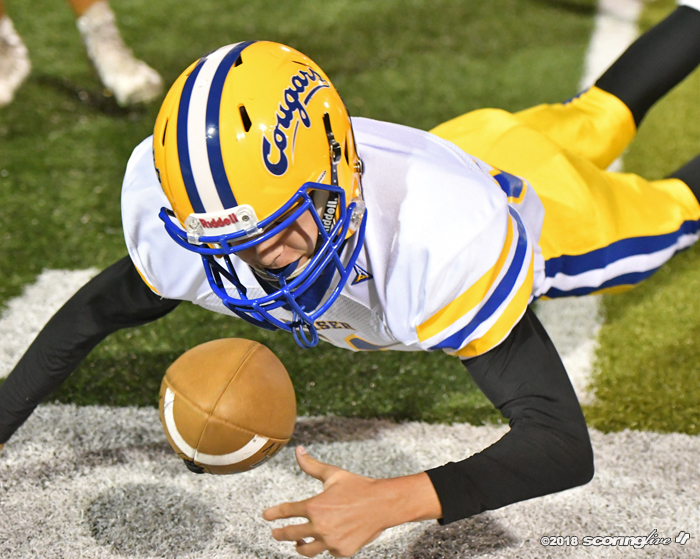 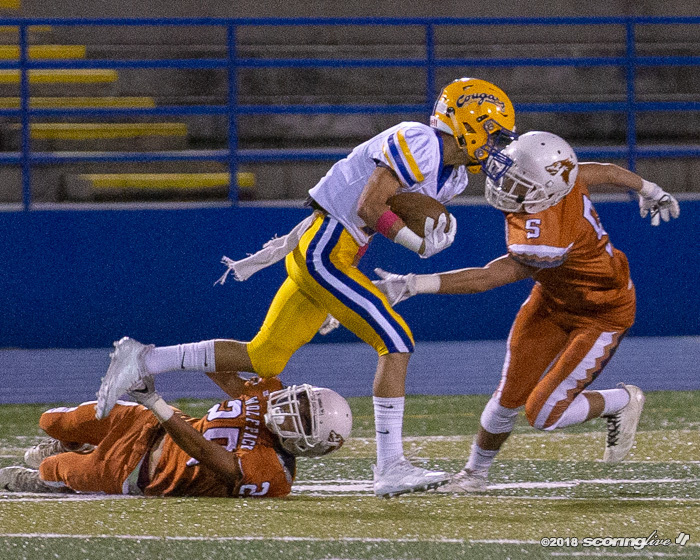 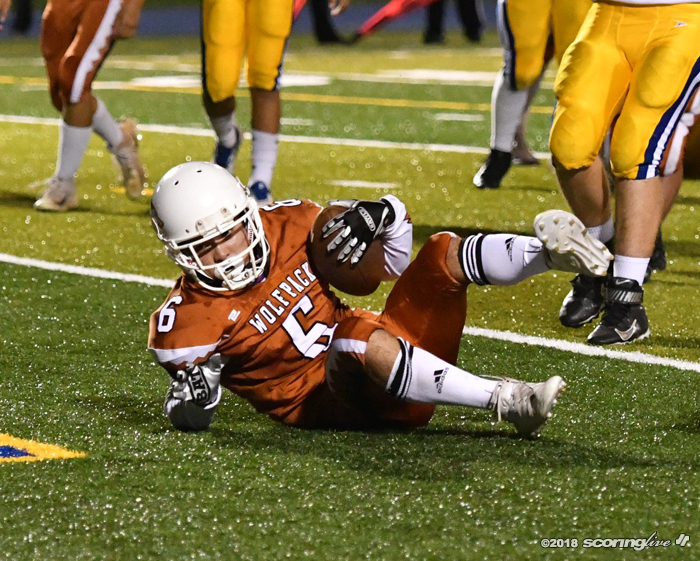 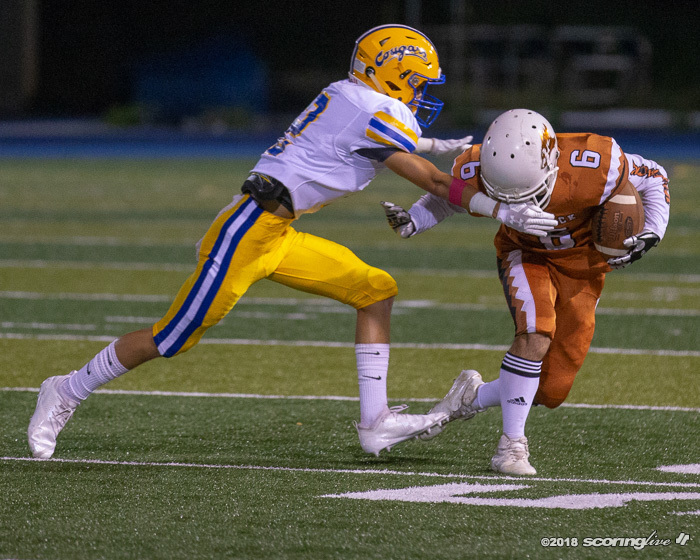 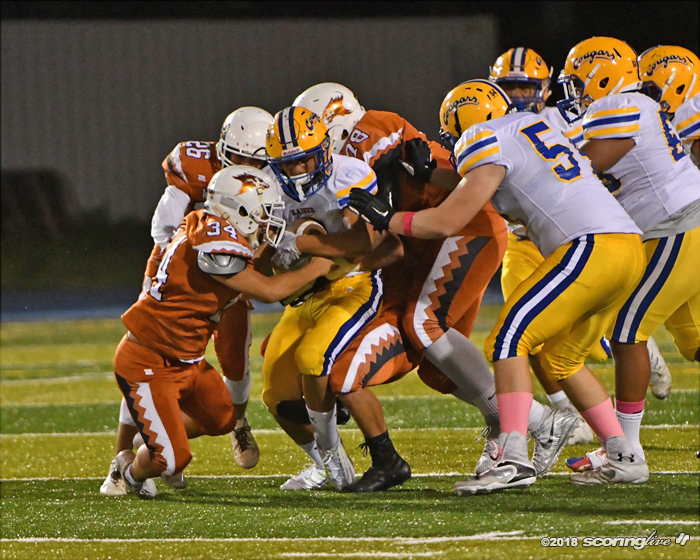 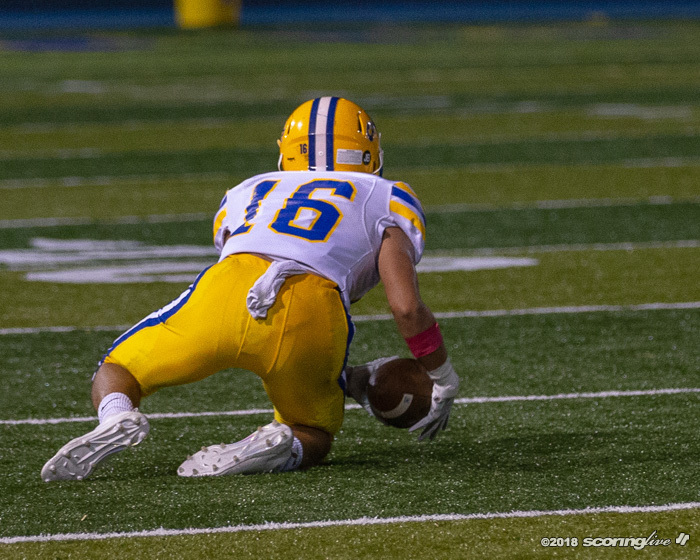 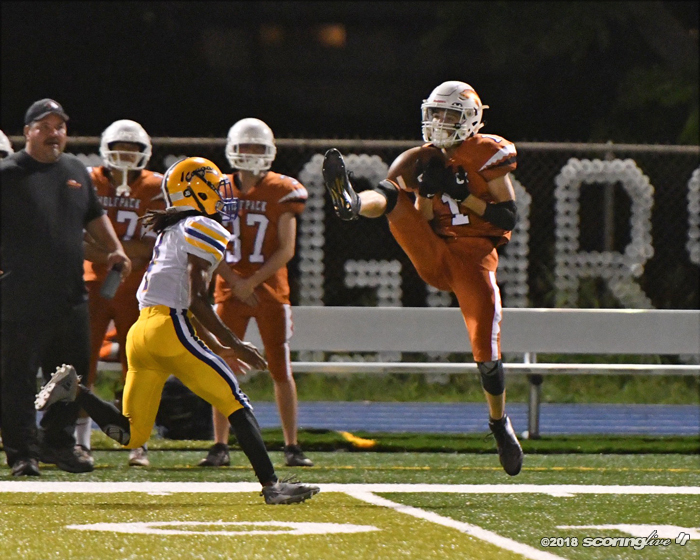 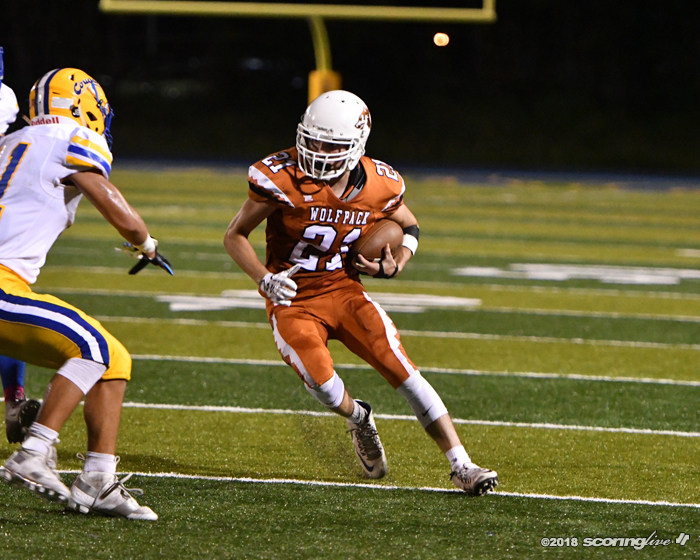 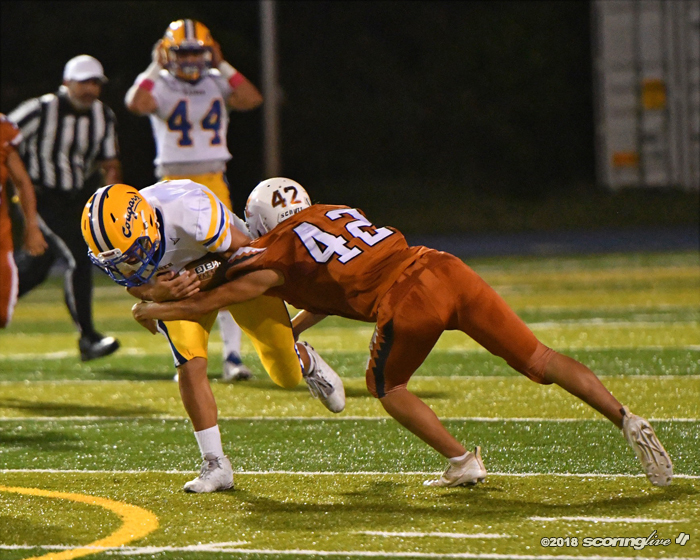 In a game with four lead changes, Tom's 6-yard TD pass to Jesse Stroede with 3:05 left in regulation gave the Cougars the lead for good as they improved to 4-3-1 with the win. 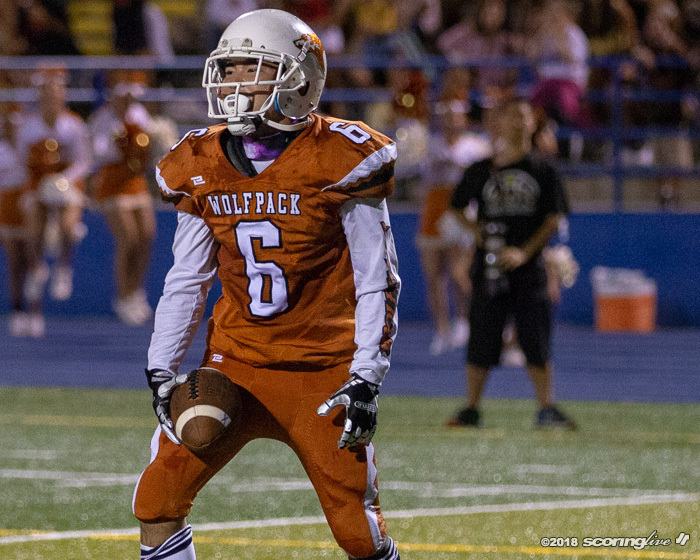 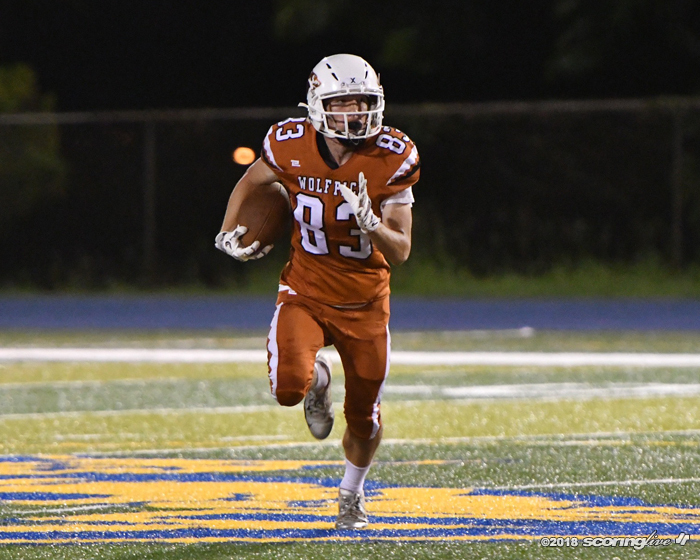 Four different players ran in TDs for the Wolfpack, who dropped to 2-5.